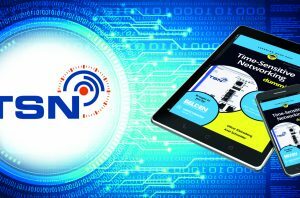 St. Louis, Missouri – September 4, 2018 – Belden Inc., a global leader in signal transmission solutions for mission-critical applications, has published a special edition of Time-sensitive Networking for Dummies. The book, which was written by Oliver Kleineberg and Axel Schneider, is a Belden/Hirschmann Special Edition. Like last year’s highly successful Belden/Tripwire Industrial Cyber Security for Dummies, it can be downloaded free of charge in .pdf format – and is also available in a regular print edition. In today’s highly automated systems, real-time communication is essential. 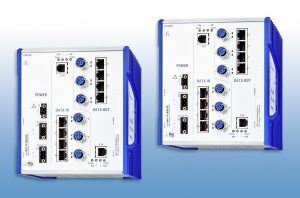 Several real-time communication technologies, including EtherCAT, PROFINET IRT, and Sercos III, are used to ensure timely communications, but they have compatibility issues and offer limited, if any, support for future enhancements such as increased bandwidth. Time-sensitive networking (TSN) overcomes these limitations to provide dependable real-time communication; high bandwidth to accommodate a vast amount of sensor and background data; and backward compatibility to Ethernet devices. Time-Sensitive Networking For Dummies, Belden/Hirschmann Special Edition, introduces time-sensitive networking and explains the standards. It provides insight into the requirements of TSN network engineering and the benefits of using non-TSN Ethernet devices on a TSN network. A free copy of Time-sensitive Networking for Dummies, a Belden/Hirschmann Special Edition, can be downloaded at https://www.belden.com/resources/knowledge/ebooks/time-sensitive-networking-for-dummies-lp. Industrial Cyber Security for Dummies, a Belden/Tripwire Special Edition, can also be downloaded free of charge at https://www.belden.com/resources/knowledge/white-papers/cyber-security-for-dummies. Belden Inc., a global leader in high quality, end-to-end signal transmission solutions, delivers a comprehensive product portfolio designed to meet the mission-critical network infrastructure needs of industrial, enterprise and broadcast markets. With innovative solutions targeted at reliable and secure transmission of rapidly growing amounts of data, audio and video needed for today’s applications, Belden is at the center of the global transformation to a connected world. Founded in 1902, the company is headquartered in St. Louis and has manufacturing capabilities in North and South America, Europe and Asia. For more information, visit us at www.belden.com; follow us on Twitter: @BeldenIND.